With more than three decades of experience, Ms. Hoffman has a lot to offer her three professions. At Management Consulting, she handles business development and strategic planning, and utilizes alliances to achieve the goals and objectives of the company. Ms. Hoffman is also teaching an upper division class entitled “Legal Environment in Business” to undergraduate business majors at the University of Nevada, Reno. In addition, Ms. Hoffman is very passionate about her side career in opera. She has been singing since she was 5 years old, and performed with The Metropolitan Opera in Europe. 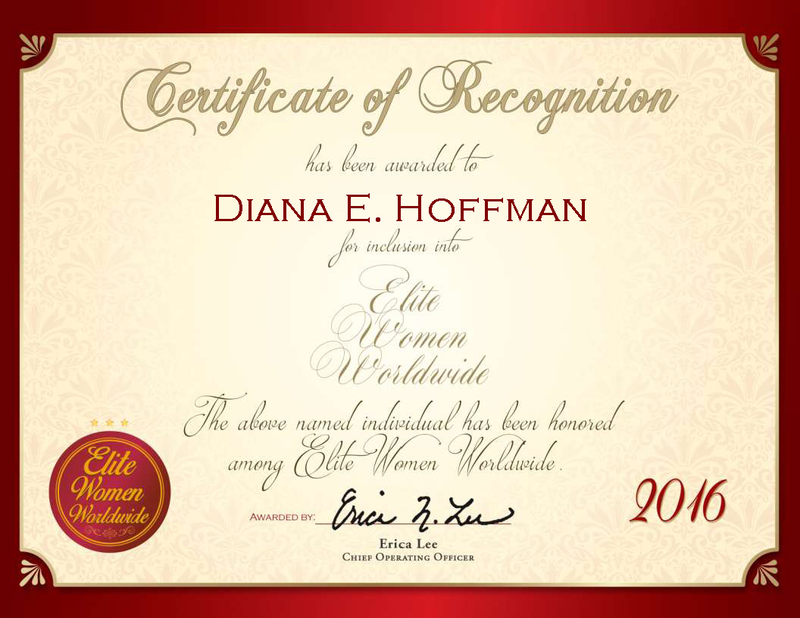 Ms. Hoffman created Diana Hoffman Sings to allow her to continue to do what she loves. She sings at events such as banquets, birthday parties, conventions, theaters, sporting events and weddings. Ms. Hoffman earned a JD from Lincoln University and a bachelor’s degree in humanities from San Jose State University. She is affiliated with the State Bar of California, WIIN, and Rotary International, and is the director of the Northern Nevada Chapter of the COO Forum, Inc. Ms. Hoffman won the Businesswoman of the Year Award from the Business Advisory Council of NRCC in 2006 and 2005, and the Trailblazer Award from the Forum for Women Entrepreneurs and Executives in 2005. In 2002, She was honored with a presidential selection at the Corporate Responsibility Panel of the Economic Summit, as well as a presidential selection from the Trade Mission to Mexico for International Trade Relations. Ms. Hoffman attributes her success to her passion, perseverance and work ethic, as well as the lessons taught to her by her parents.